The Striped Flamingo: It's (Almost) Sweater Weather! This mustard yellow cardi is a contender to replace my holey one. And it's Lands End so I definitely know it will last quite a few years! This mossy fern green cardigan is not a color I've worn a lot of before but I'm really digging it for fall. I would look awesome with mustard yellow, berry, blush, gray or even pale blue! This marled wrap cardigan just looks extremely cozy. Like you could curl up with this, some leggings and a good book on the couch. This plum/berry color is really popular this fall and it goes with almost anything! They even have the matching shell if you're into the twinset look. 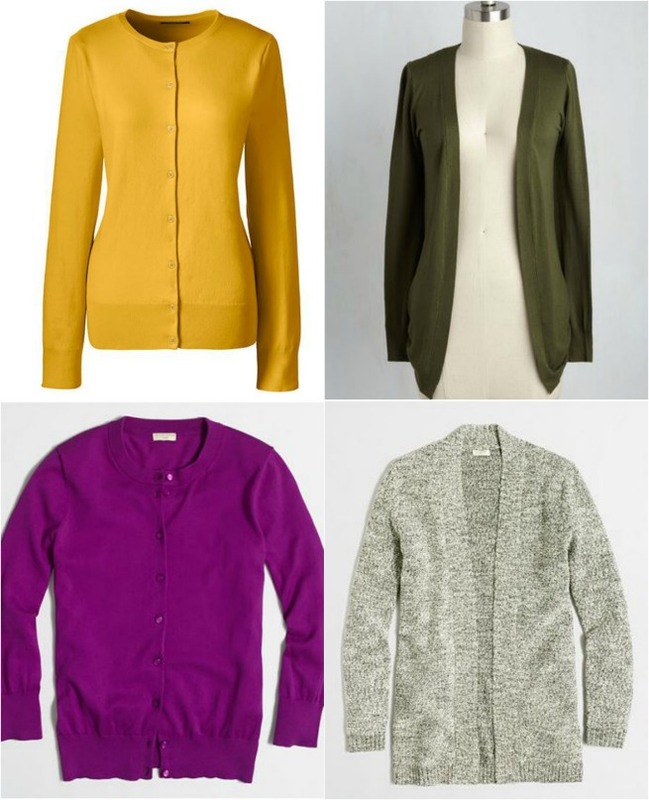 If you see or hear of any good cardigans on sale, let me know!! Time for me to replace my mustard cardigan too!